Are you interested in taking a leadership role in FLA? Take the first step and join a committee. There are 15 very active committees, all looking for eager participants. FLA is based on a strong foundation of volunteers and member support. We strive to provide you with opportunities to collaborate and create, not only for your personal career, but for the library field. The deadline to apply is Wednesday, April 30th. Members currently serving on a committee need to check if your term is ending this year. Please find your committee's roster on the link below. If you would like to continue to participate, you will need to apply as well. To learn more about our committees and to apply, click here. FLA Past Presidents help raise funds to support the future of the library field. 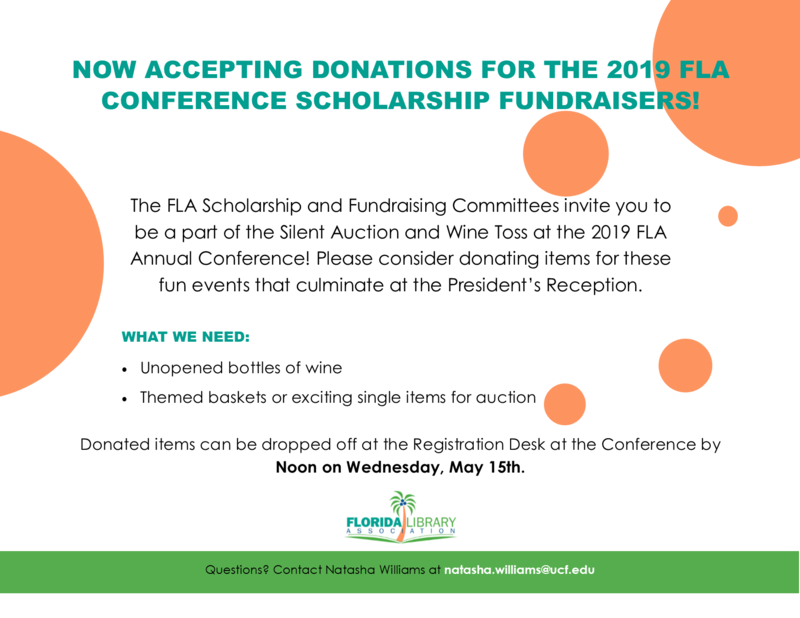 Each dollar donated by the Past Presidents will be converted into “FLA Bucks” to use during the President’s Reception for Silent Auction items and/or the Wine Toss. Conference attendees can enter a drawing and winners will be selected during a refreshment break in the exhibit hall on the day of the President’s Reception. Florida is a state rich with libraries of many types. 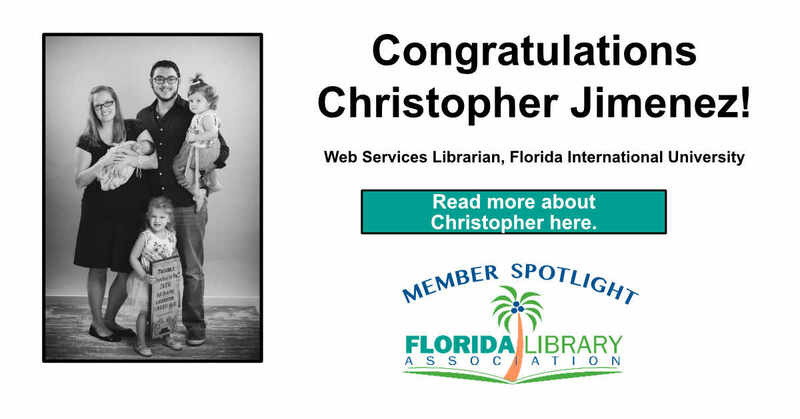 The following links to Florida library job listings and to information about library jobs will help those looking for library jobs in Florida. 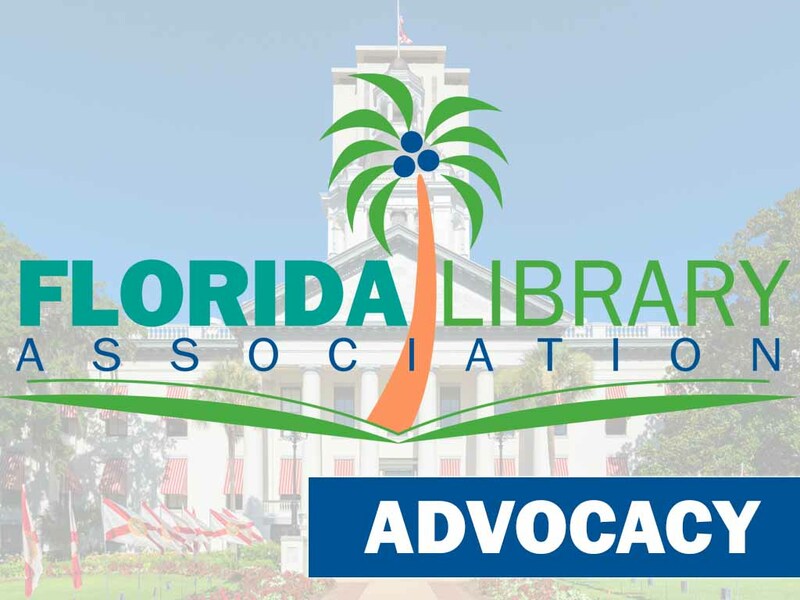 A related list of Resource links to libraries, multitype consortia, and library associations in Florida will also help those looking for library jobs. A refresher webinar presenting useful resources for library staff needing to develop or update their information and digital literacy skills. FLA is aware of and closely monitoring recently filed bills (HB855 and SB1454) both referencing Instructional Materials. Both bills would be harmful to school libraries and school media centers. At this point, FLA does not have an official position, but we will support the Florida Association of Media Educators (FAME) in their opposition to these bills. As more information becomes available, we will share that through our communications channels as needed. At this time, there is no FLA Call to Action. Should that change, we will call on FLA members to assist. Are you ready to find out The ONE Thing that will make your life easier? Gary Keller and Jay Papasan provide the surprisingly simple truth behind extraordinary results. Join in on this year's 2019 One Book One State: The One Thing. 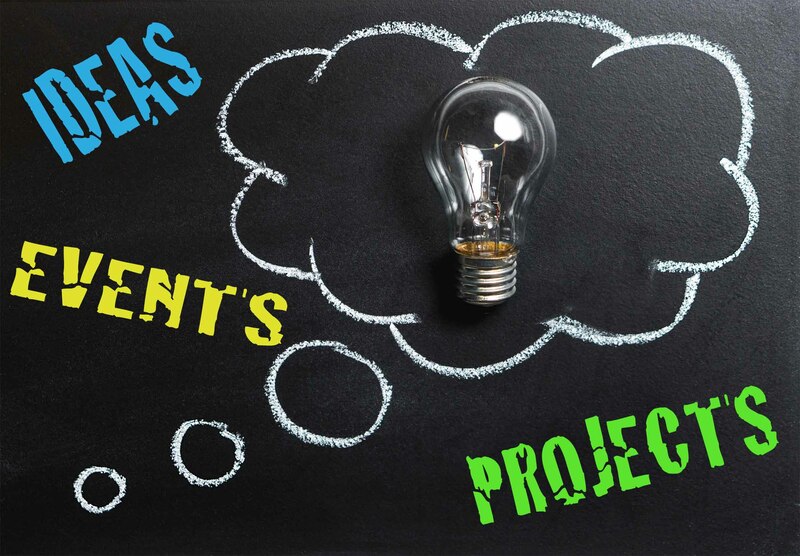 FLA President, Sarah Hammill, has created discussion questions that will inspire you to focus on what matters most! Our Innovation Lab is a creative space to share your best practices! From advocacy to staff development, there's something for everyone. Have a specific interest you want to chat about? Start a conversation on FLA's Member Groups!